MDC’s InterAmerican Campus recently welcomed a number of high-ranking international visitors. Sponsored by the U.S. Department of State’s International Visitor Leadership Program, the visits were in collaboration with Global Ties Miami, a local non-profit organization that works with the State Department and other organizations to facilitate professional, educational and global cultural exchanges. 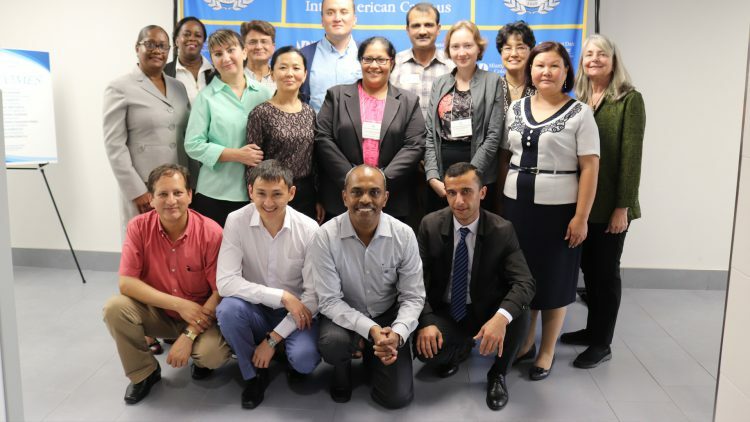 Higher education and Ministry of Education leaders from several countries including Afghanistan, Nepal, Sri Lanka, Pakistan, Uzbekistan and Tajikistan visited the U.S. for a three-week learning and engagement initiative focused on advancing their country’s English as a Foreign Language programs. At MDC’s InterAmerican Campus, the World Languages department served as host in a series of faculty presentations and demonstrations. The presentations focused on: English language and associated curricula at national and institutional levels, best practices in teaching english to speakers of other languages, and professional development programs and educational technology tools that augment English language teaching. The visitors also had an opportunity to engage with faculty and students of the campus’ signature Dual Language Honors College and Translation and Interpretation Studies Program. For 59 years, Global Ties Miami, formerly the Miami Council for International Visitors (MCIV), has facilitated professional, educational and cultural exchange tours for emerging and established global leaders in business, government and civil society. Global Ties Miami hosts more than 300 participants of the U.S. Department of International Visitor Leadership Program and other exchange programs.